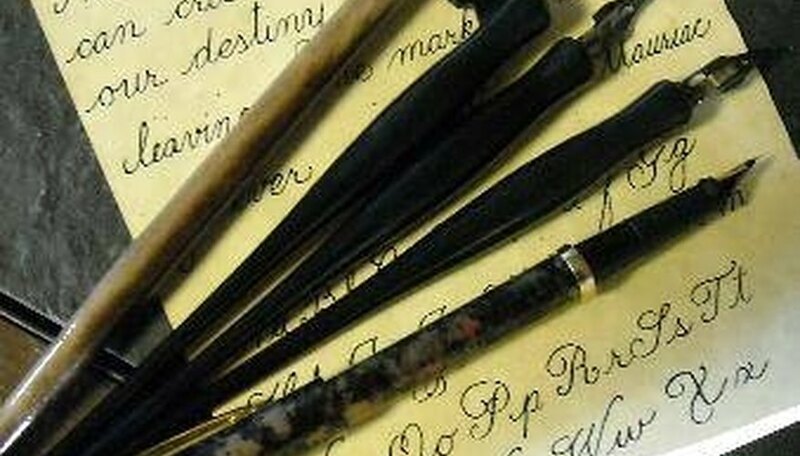 Calligraphy, the ancient art of creating letterforms, can be done with a number of different pens, including fiber-tipped pens, fountain pens and dip pens. While there are countless types and styles of pens, assembly of the pen is basically the same. 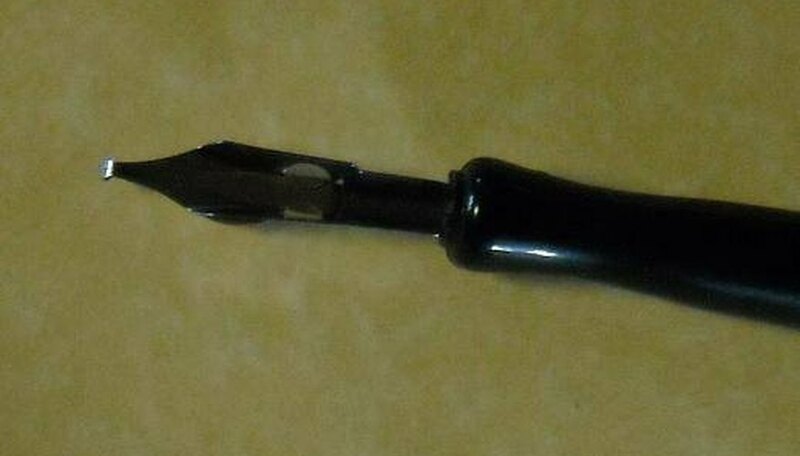 Read on to learn how to put together calligraphy pens. Purchase the nib (writing part of the pen) sizes needed for your project and a dip pen (the handle part of the pen). While most dip pens contain a standard-sized nib holder, it is best to purchase a dip pen from the manufacturer of the nibs. This ensures that the nib will fit properly and remain situated without wiggling or movement during the writing process. Select the nib that you want to use and line up the curved edge of the nib (opposite end from the writing tip) with the nib holder (arc-shaped ridge) on the large end of the dip pen. 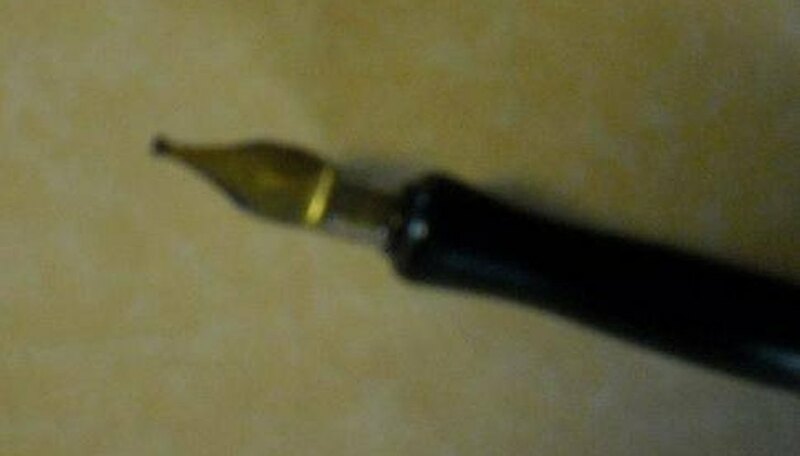 Grasp the sides of the nib and gently push it in to the dip pen until it will go no further. Don't grasp the writing tip directly, as you risk bending and displacing the delicate metal structure of the tip. 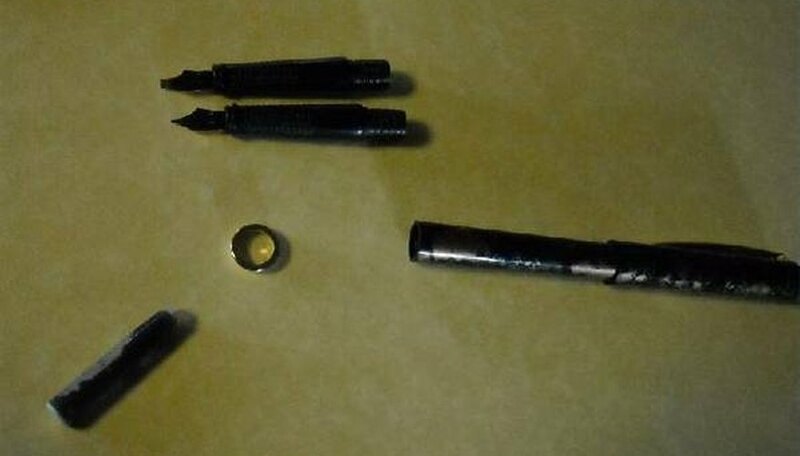 Reverse the process to remove the nib. 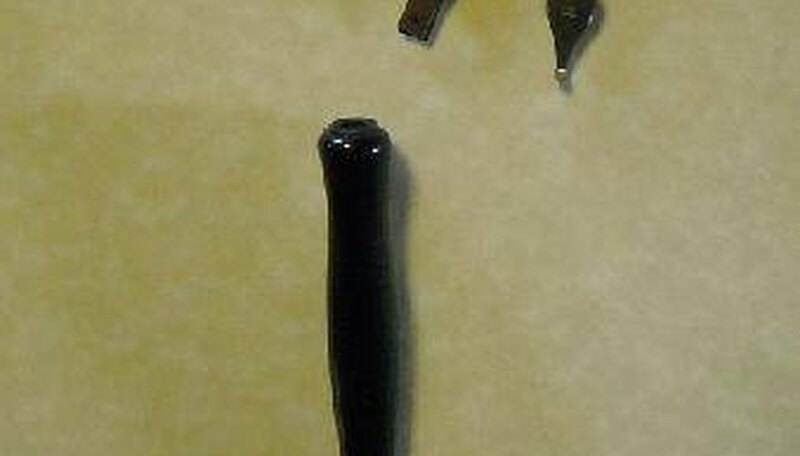 Rinse the pen and nibs with water and ink cleaner and gently pat dry to prevent the nibs from rusting. Purchase a fountain pen that sits comfortably in your hand. There are several sizes and styles to choose from, from petite to bulky. You will also need to purchase ink cartridges made specifically for the pen you choose in order to ensure that the ink cartridge will remain situated and to prevent leakage. 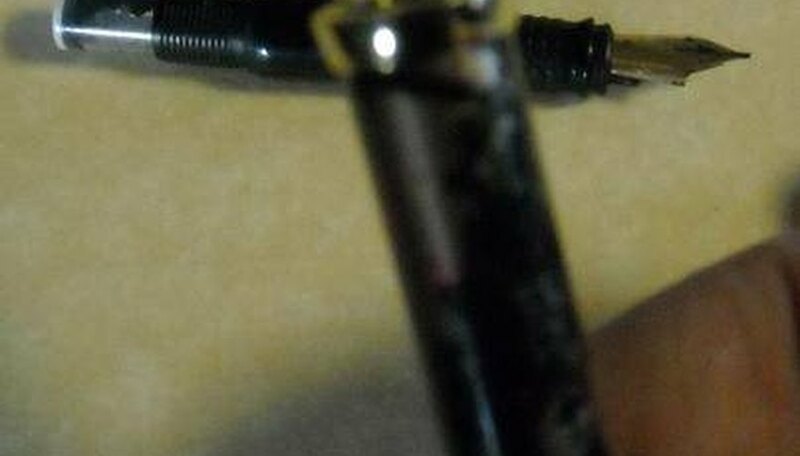 Disassemble the fountain pen by unscrewing the writing tip from the base. Depending on the style, there may be a decorative ring that connects the two pieces, the writing tip (including the cartridge holder), an ink cartridge, the base and a lid that snaps or screws on when the pen is not in use. Take the ink cartridge (small cylindrical plastic tube) and insert it, with distribution end going in to the writing tip. The distribution end of the cartridge will have a small, ridged, circular top, while the bottom of the cartridge will be flat. 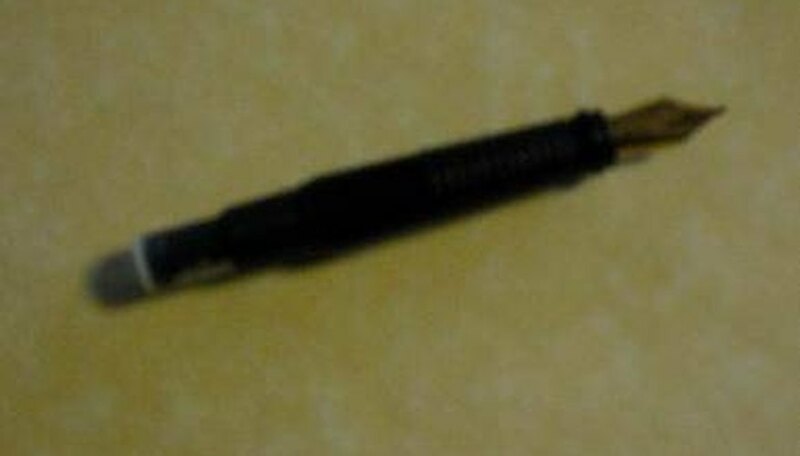 Gently push the cartridge in until it connects with the reservoir of the writing tip. It may click or make a gentle snapping sound. 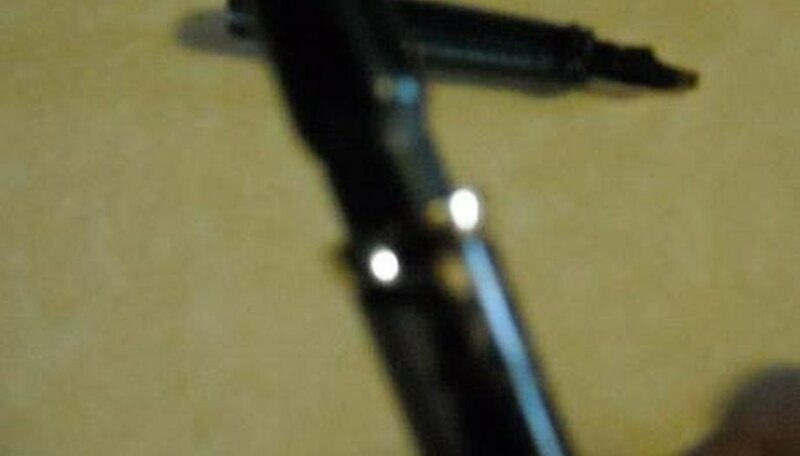 Place the decorative ring back on the base of the pen. You may have to hold it upright if it does not fit down into the base. Insert the writing tip into the base and screw the two pieces together. When you begin to write, start on a piece of scrap paper in order to work the ink from the cartridge into the reservoir. Using firm, even pressure, draw several strokes with the nib situated at an angle when it touches the paper. Make marks until the ink is evenly distributed and the lines are full, without ragged or missing edges. Purchase several dip pens so that you don't have to stop and change nibs when creating a piece of calligraphy that requires more than one size of line. Always disassemble, clean and dry writing tips thoroughly to avoid damaging nibs and to prevent rust from forming on the nib.